Few people can do what Tim Rogers, aka front man of Jack Ladder and the Dreamlanders, can. That being; creating songs that use the ancient form of folk songwriting and storytelling and giving them a compelling, modern and approachable twist. It’s been three and a half years since Jack Ladder and the Dreamlanders released the sparkly, 80s synth-laden and guitar laced album Playmates, and 13 years since first record Not Worth Waiting For. Roger’s latest offering, Blue Poles, seems to draw from the ethos of all of his pervious works, with hints of Berlin-Bowie, Nick Drake, Martin Gore (Depeche Mode), soul, funk, folk and experimental music. Blue Poles is Rogers’ most eclectic record to date, but also the most accessible, thanks to its groovy, melodic hooks. Blue Poles at times feels like the exploration of a man who is facing the end of a life cycle, and with that, the beginning of a new one. And perhaps this nicely sums up the album in reference to his previous works to date. You might call it a coming-of-age album, had Rogers not already been around for 13 years. However, it definitely does seem like a new phase. Blue Poles starts with the funky little number Can’t Stay which showcases Rogers’ talent for witty, thoughtful and amusing writing. In fact, not since Nick Cave have we seen an Australian mix the themes of loss, obscurity, humour and love with such seamless clarity and acuity in their songs. A gospel choir in the adds a sophisticated and artful touch to the fun track, which nicely sets up the worldly and unlaboured tone of the whole album. This approachable and more carefree turn from Rogers is affirmed with tracks like Dates, Tell It Like It Is and Feel Brand New. In these songs Rogers seems to be having fun with it, whilst still making great music. His vocals and lyrics sit front and centre where they should be, and the result is an organic album, that whilst sometimes driven by electronics, has the prefect amount of ‘human’ thanks to that rich crooning voice, his innate storytelling capabilities and a less-is-more approach to the production. That’s not to say the album isn’t as artful and dark as Rogers’ previous works. It is. It’s full of off-kilter timing, imaginative arrangements and sounds, instruments and electronics, and ever-changing lyrical styles and vocal delivery. Blue Poles is full of warmth and texture, which is nicely contrasted against Rogers’ well-known dark, and at times, absurd humour and melancholic romantic observation. Stand out track Susan shows off the album’s synth-pop and electronica nods, but also some beautiful guitar tones and work. A nod to Rogers’ rock ‘n’ roll leanings, all of this is underpinned by a morbid and amusing subject. It’s this mixture of styles and ingenuity that keeps the album feeling fresh, your ear intrigued and your toe tappin’ throughout. Arguably the most effecting song on the album, White Flag, keeps us mulling. A story of love and entrapment from two perspectives, without going all Gotye and Kimbra, it’ll have you pondering: “who is the one feeling chained?” In a touch of brilliance, Rogers makes both perspectives easy to transpose onto the listener. Perhaps Russell Crowe summed it up the best with his Twitter post: “its new, it’s worthy, and it’s groovy”. 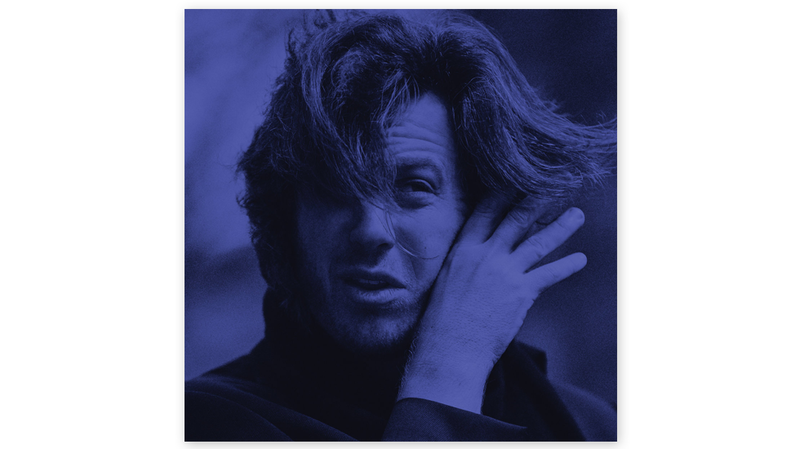 Perhaps also, its time Jack Ladder & the Dreamlanders started getting the recognition they deserve, and Rogers in particular as one of the best modern Australian songwriters, singers and music makers going around.